Fortnite + Motorcycles + Broomball + Pub Crawl = Why this year’s re:Invent is a game changer. The Fortnite Gaming Alcove, Harley ride, Broomball competition, Pub Crawl, and the 8K Run. These are just some of the experiences you’ll get to participant in as the largest global cloud computing conference descends on Las Vegas from November 26 – 30. And for those joining us online, be sure to follow Amazon Game Tech on Twitter, sign-up for the AWS Innovate – re:Invent Recap Edition 2018, and register for the Livestream to watch demos of new products, a recap of breakout sessions, talks led by AWS enthusiasts and the keynotes by Andy Jassy and Dr. Werner Vogels. 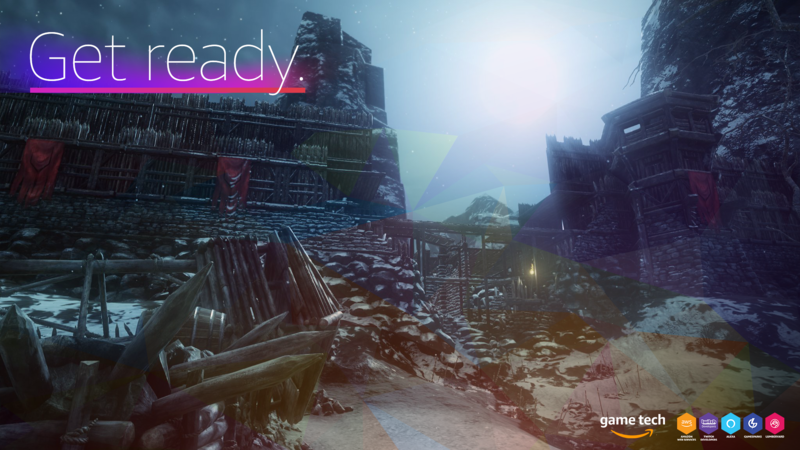 With over 2,000 breakout sessions on everything from machine learning to game development, we at Amazon Game Tech are ready to help you level up. This year, Amazon Game Tech will be collaborating with Epic Games to bring Fortnite to AWS re:Invent attendees. You will have the chance to stop and play at one of the 16 Fortnite gaming stations Monday – Friday in the Venetian, Level 4, West Alcove. The Game Tech Business and Sales teams will also be on hand to answer questions. For game developers, we’re delighted that Mike Bleske, Sr. Manager and Diego Toledo, Associate Software Architect of Activision Blizzard, will be diving into how they use AWS Lambda, Amazon S3, Amazon Polly and Alexa skills to deliver AI-generated, customized responses to users at scale in Call of Duty. Heikki Verta, Services Team Lead at Supercell will be giving a talk on how they leverage Amazon EC2, S3 and Spark to ingest, process, store and query petabytes of data. And you can’t miss Vesa Siivola, Senior Analytics Engineer at Rovio who will be discussing how they use machine learning to retain and monetize users for their games. For a full schedule of where you can catch Amazon Game Tech speakers and experts, please download the 2018 AWS re:Invent Interactive attendee guide for Gaming Professionals. Ready to get started? Visit the Amazon Game Tech homepage to learn more.